John Knox (ca. 1514-1572) was a leader of the Reforming party in his native Scotland. 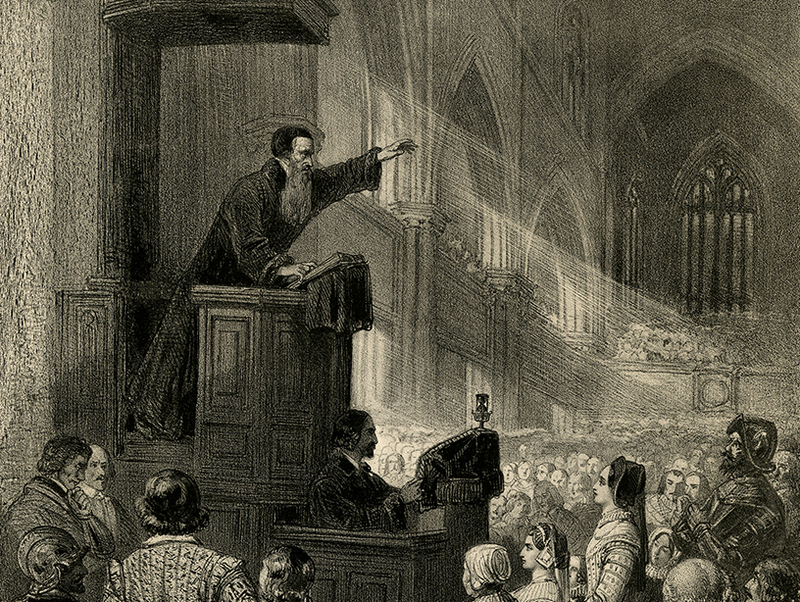 Knox studied with John Calvin in Geneva and took Calvin’s teachings back home with him to Scotland. 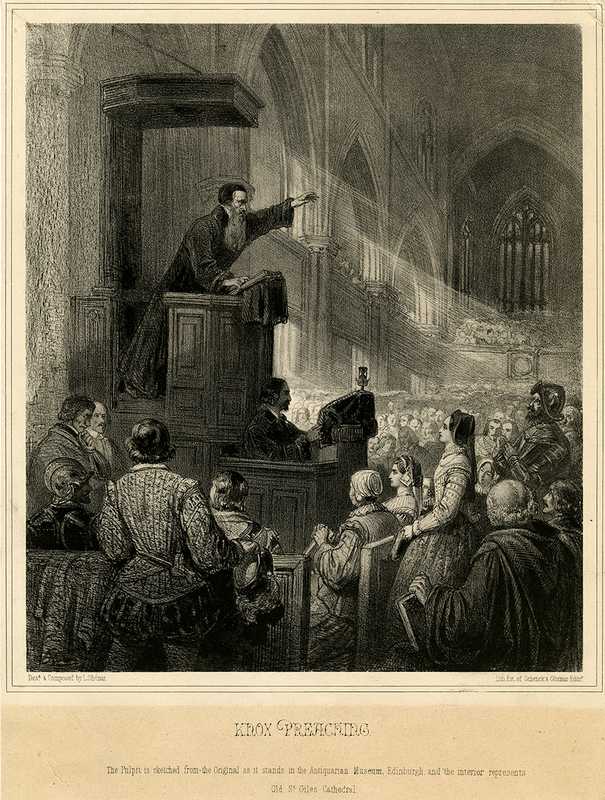 The Presbyterian Church traces its ancestry back primarily to Knox in Scotland and to England, and so Knox is widely regarded as the founder of Presbyterianism. Educated in Glasgow and possibly at St. Andrews, Knox received minor orders, set up as a notary in Haddington, and then became a private tutor, c. 1544. Soon afterwards he embraced the principles of the Reformation. After being taken prisoner by the French during their attack on St. Andrews, he made his way from France to England, where he served briefly as chaplain to Edward VI. Shortly after Queen Mary Tudor's ascension to the throne in 1553, he fled to Geneva, where he met and was influenced by John Calvin. 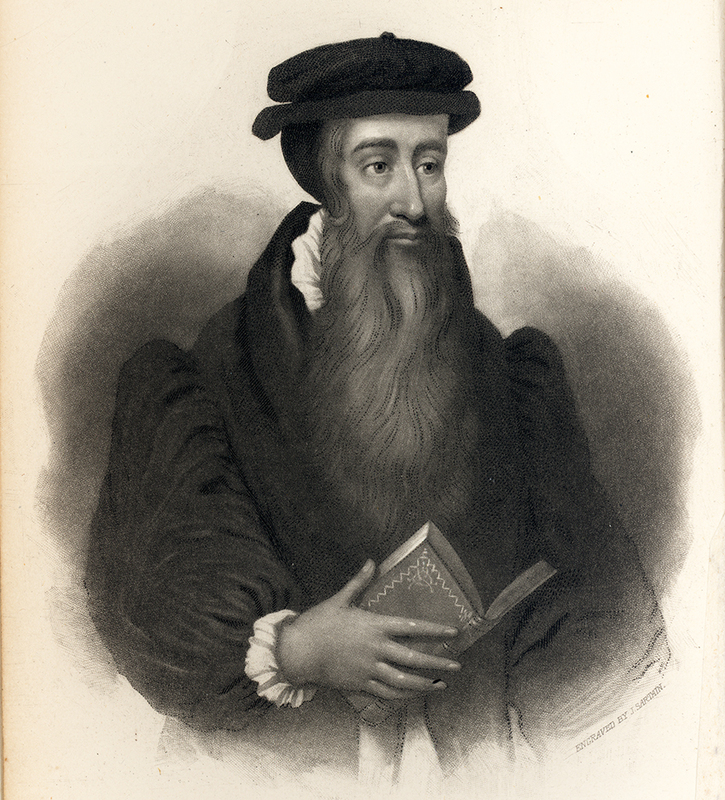 Eventually returning to Scotland in 1559, after more than a decade abroad, Knox became a minister in Edinburgh and, soon after, the acknowledged leader of the Reforming party in the Kirk. 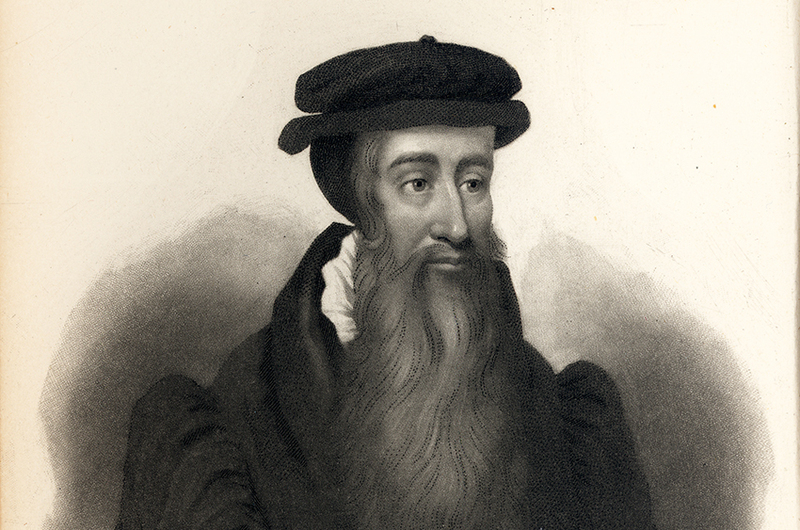 In close collaboration with his ministerial colleagues, Knox published three influential documents in the course of the next few years that were to be his principle contribution to the Reformation in Scotland—and to the religious and social history of his nation for the next century. He contributed to the writing of the Scots Confession (1560), a short evangelical consensus of Reformed doctrine and the principal theological standard of the Kirk until it was superseded by the Westminster Confession in 1647. He was the main author of the Book of Common Order (1556-64), based on prayer forms used by Knox in Geneva and widely used in Scottish worship until the adoption of the Westminster Directory of Public Worship in 1645. Knox's Book of Common Order, commonly called John Knox's Liturgy. Translated into Gaelic by John Carswell, 1567. Edited by Thomas McLauchlan, 1873. From Internet Archive via National Library of Scotland. Another of Knox’s most significant works is History of the Reformation of Religion within the Realms of Scotland. Originally issued in an unfinished edition in 1587, it was immediately seized and suppressed. The first complete edition appeared in 1644. 1644 edition of Knox's History of the Reformation of Religion within the Realms of Scotland. From Internet Archive via Princeton Theological Seminary Library. In the (first) Book of Discipline (1560), Knox and the Reformers worked out their concrete program of reform in both church and society. Knox’s goal was to create in Scotland nothing less than the “Godly Commonwealth” of ancient Israel. Had the education and charity provisions of the Book of Discipline been implemented as Knox wished, Scotland would have had the first program of systematic poor relief and universal compulsory primary education in Western Europe. Comprehensive, egalitarian, and practical—but hardly democratic—the Book is still recognized as a landmark of Christian social reform. It was said after his death that Knox was a man who neither feared nor flattered anyone alive. Scotland would have had a Reformation without him, but it was from him that it received much of its distinctive character and direction. American Presbyterians, as heirs of the church he helped to create, owe something of their character to his moral courage and social vision.